I had the opportunity to travel to Hong Kong together with my family from 29.03.2019 until 02.04.2019. It was supposed to be a backpacker-style holiday with one of the travel agents from Malaysia. We stayed at Sai Ying Pun area on the 1st day, then moved to Tsim Sha Tsui area on the 2nd day onwards. 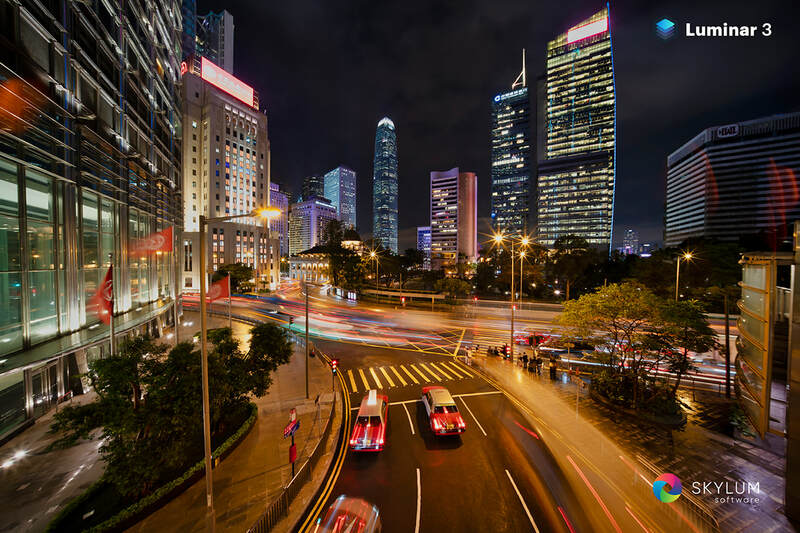 Travelling around Hong Kong was easy with the MTR, a comprehensive and efficient public transportation system for Hong Kong. Throughout the trip, the weather was not too kind to us. It rained most of the nights and cloudy. Thank God that only on the last morning before we fly back to Malaysia did we have slightly good weather, worth for me and my friend to travel up to The Peak and to the Lugard Road lookout point to capture the beautiful skyline of Hong Kong and the moving boats and ferries in Victoria Harbour. 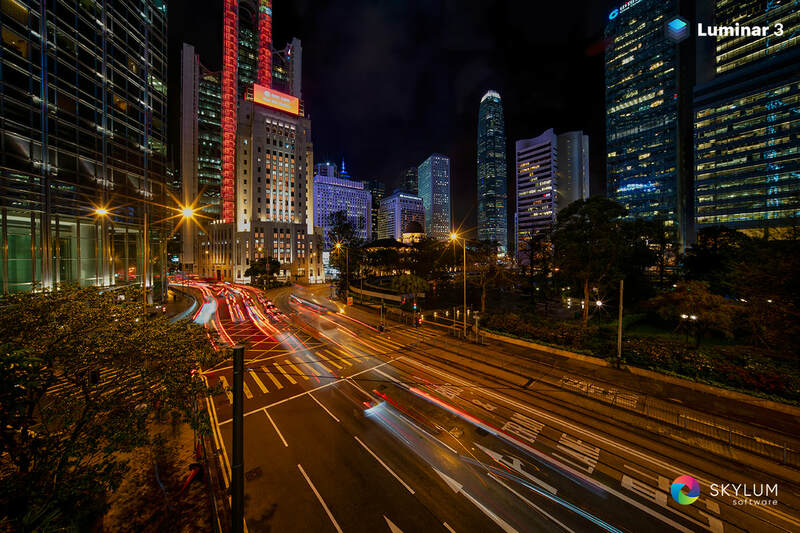 I'm in the midst of planning a small group of photographers to Hong Kong in November 2019. Stay tuned! 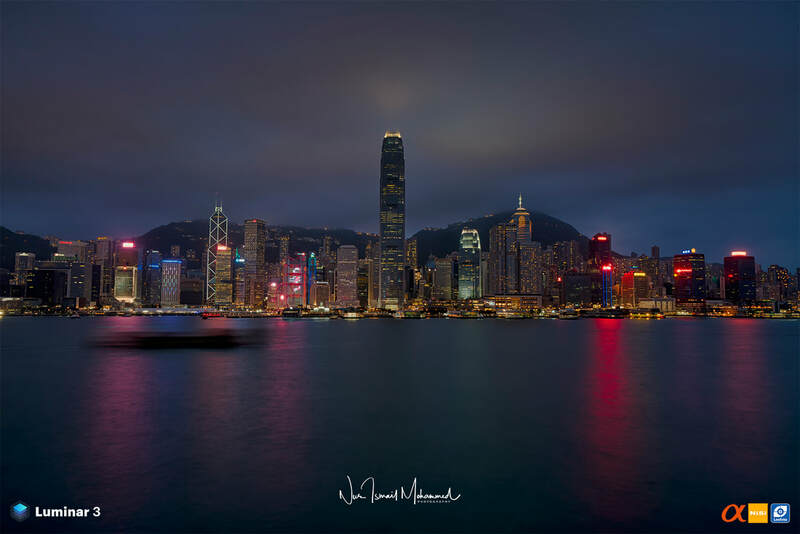 Blue hour sunset at Victoria Harbour, Hong Kong. SONY a7RIII, SEL1224G, 24mm, f/8.0, ISO 200, HDR 9 exposures. Developed with Luminar 3. 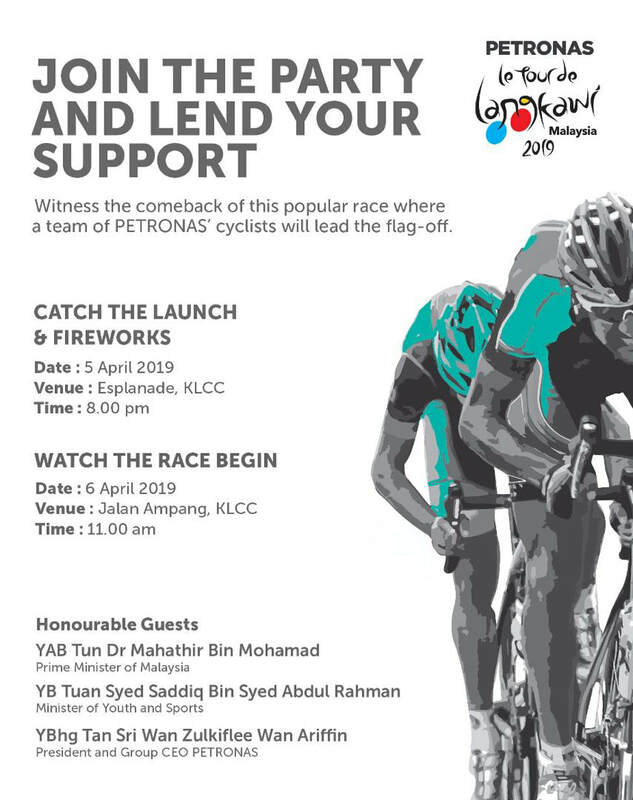 ​See you in Kuala Terengganu! 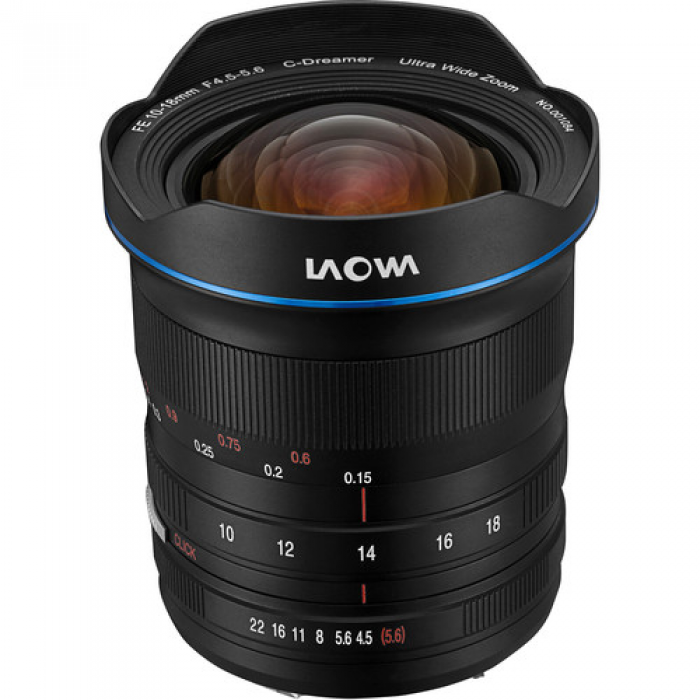 During my short trip to Hong Kong last month, I've managed to get a loan unit of Laowa 10-18mm f/4.5-5.6 FE Zoom lens (made by Venus Optics) from International Camera Service Sdn Bhd. 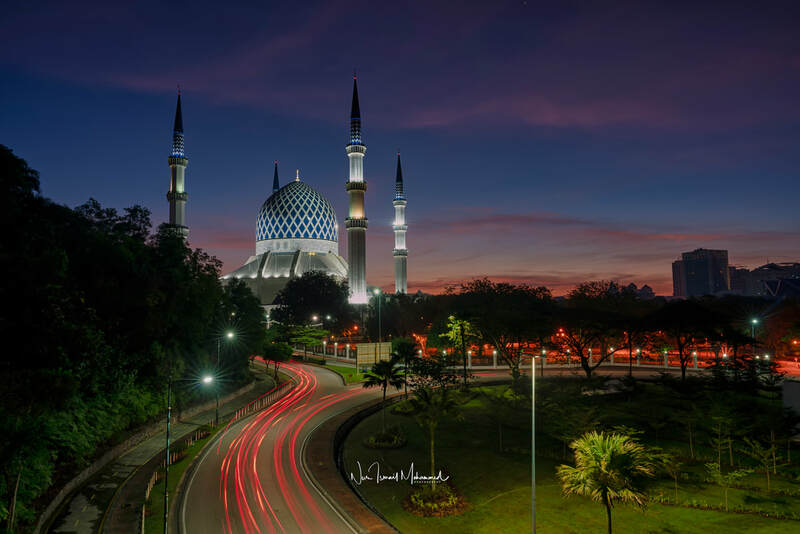 At first glance, the lens is really small when paired with the SONY a7III, belongs to my friend, Dr. Shaharudin Abdullah. 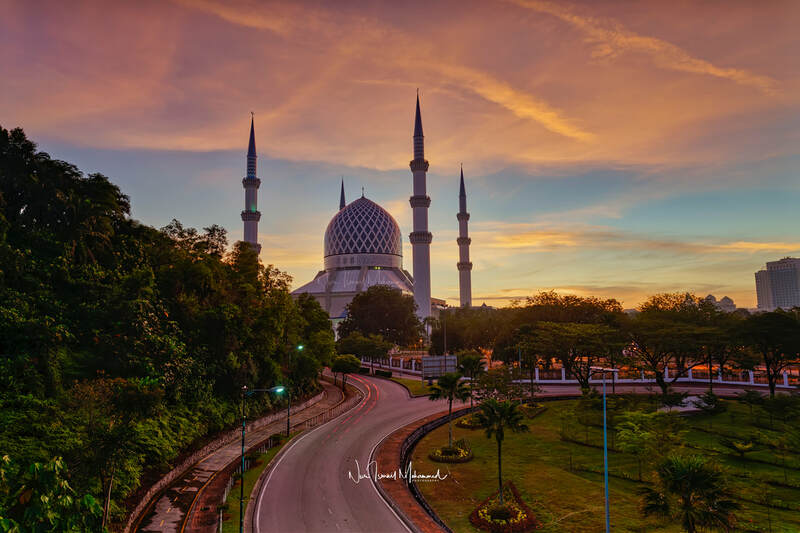 The images below have been edited with Skylum Luminar 3 plugin from Adobe Photoshop CC 2019. SONY a7III + Laowa 10-18mm @ 10mm, f/8, 5.0 sec, ISO 50, single exposure image, unedited. Converted from RAW. SONY a7III + Laowa 10-18mm @ 10mm, f/8, 5.0 sec, ISO 50, single exposure image. Edited with Adobe Photoshop CC 2019 with Skylum's Luminar 3 plugin. The manual aperture ring can be mechanically 'de-clicked' for smooth, silent rotation throughout the aperture range for video applications. What I love about the lens is its size, weight and sharpness. The lens feels well balanced with the SONY a7RIII. The're some flaring issues but no noticeable chromatic aberrations on this night shots. The starburst from the light source are just great with well defined stars. Distortion is also well controlled, depending on the angle of the lens, with minimal perspective correction on Photoshop. NiSi produced a filter holder for this lens which uses normal 100mm square filters. This is a plus point since you don't need to invest on the larger (and more expensive) 150mm system. By the way, we didn't have the opportunity to use the 37mm rear filter. 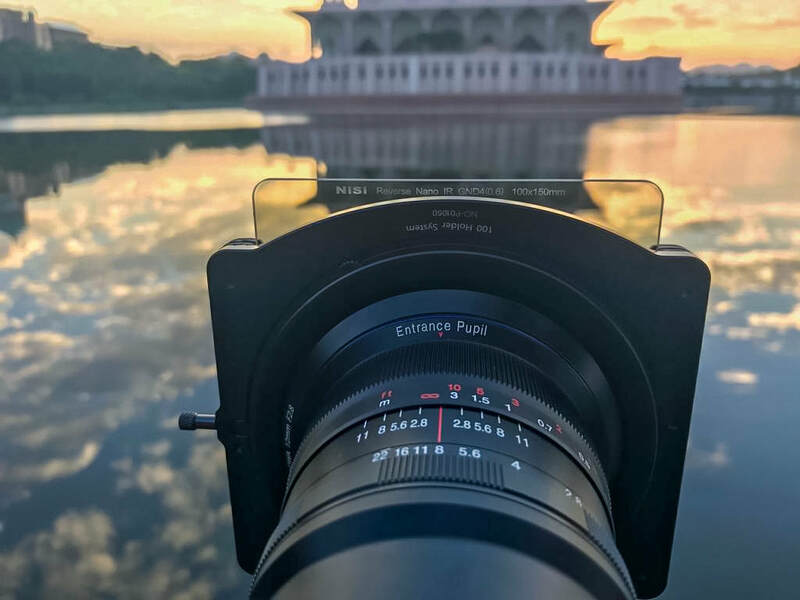 This lens is also compatible with the optional Laowa Magnetic 100mm Filter Holder, by NiSi. 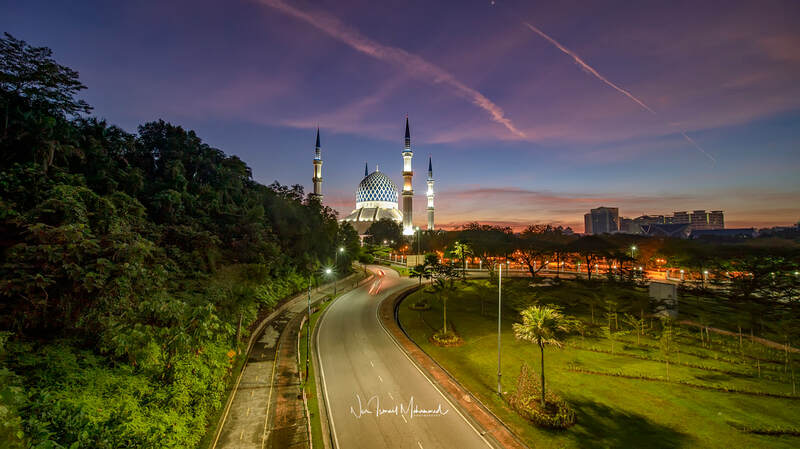 Venus Optics says that “It is a welcome relief for landscape, adventure or travel photographers that are traveling over long distances and struggling to find a compact wide-angle zoom to pair up with their cameras.”. I couldn't agree with them more. Apart from the flaring, the other downside is the lens cap. Like most of the Laowa lenses, the lens cap need to be slightly modified to prevent it from coming off easily. This can be done easily by putting a layer of sellotape on the lens cap for added friction. Maybe Laowa can look into this matter in the future. On the overall, it is still a formidable ultra-wide angle lens to satisfy the landscapers' need for UWA lens. SONY a7III + Laowa 10-18mm @ 10mm, f/8, 5.0 sec, ISO 100, single exposure image, unedited. Converted from RAW. SONY a7III + Laowa 10-18mm @ 10mm, f/8, 5.0 sec, ISO 100, single exposure image. Edited with Adobe Photoshop CC 2019 with Skylum's Luminar 3 plugin. 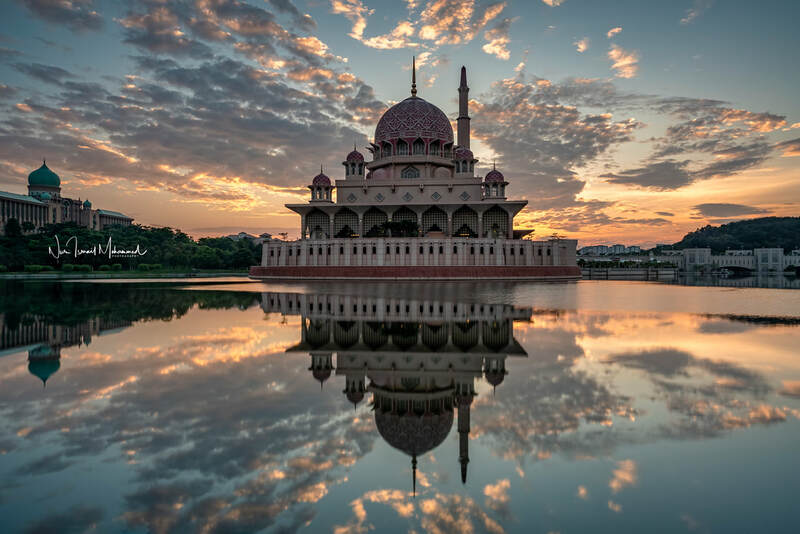 Luminar 3 can be purchased from Skylum. To enjoy some savings, please use promo code SKYLUMAPR19 when checking out with your purchase. Thank you. International Camera Service Sdn Bhd, Lot 1.99, Pertama Shopping Complex, Jalan Tuanku Abdul Rahman, Chow Kit, 50100 Kuala Lumpur, Wilayah Persekutuan Kuala Lumpur. Tel: 03-26986610 or 016-3286982. 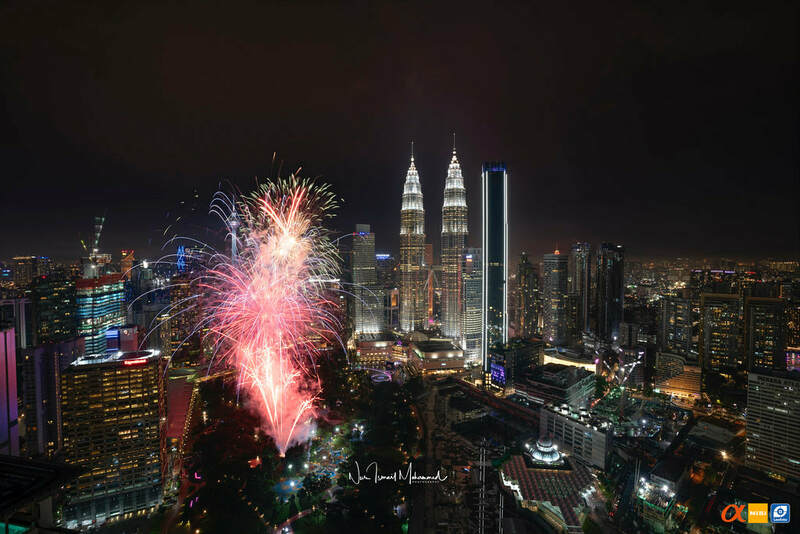 I was blessed to have been invited by a friend to shoot the fireworks during the launching of PETRONAS Le Tour de Langkawi on that Friday evening from Level 50 of Menara FELDA, Persiaran KLCC. Conditions were prime for a great sunset and we stayed on until about 9:30pm when the first fireworks exploded in the sky. SONY a7RIII, SEL24105G, 24mm, f/8.0, 3.2 sec, ISO 400. NiSi Landscape CPL filter was used. 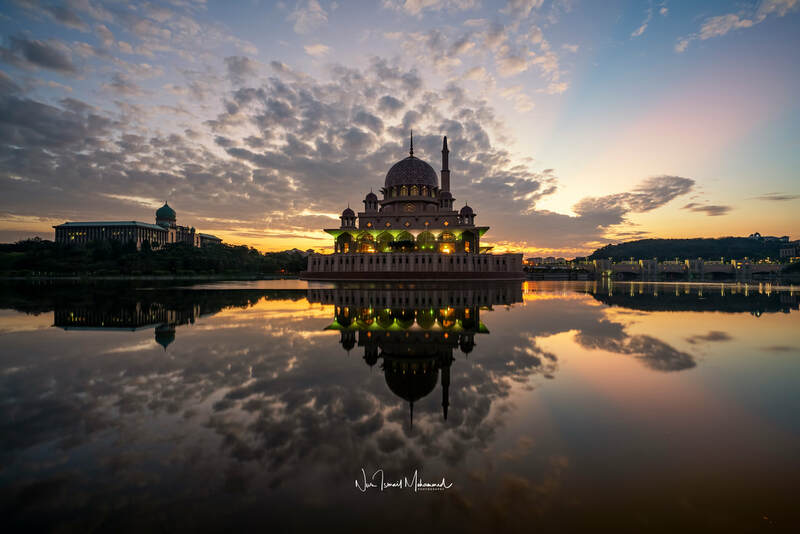 Post processing on Adobe Photoshop CC 2019 with Skylum's Luminar 3 plugin. SONY a7RIII, SEL1635GM, 16mm, f/8.0, 3.0 sec, ISO 200. 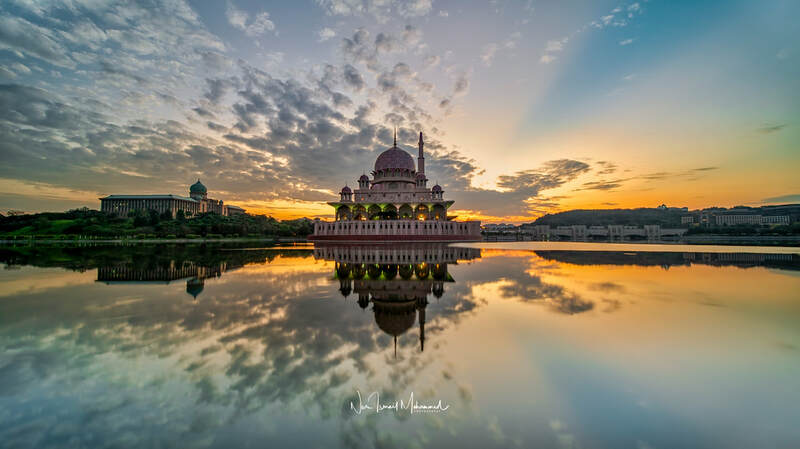 Post processing on Adobe Photoshop CC 2019 with Skylum's Luminar 3 plugin. SONY α7RIII, Samyang 14mm, f/2.8, 15 sec, ISO 3200, single exposure, panorama from 4 vertical images, no filters used. Hello everyone! It has been quite a while since I last updated my blog. 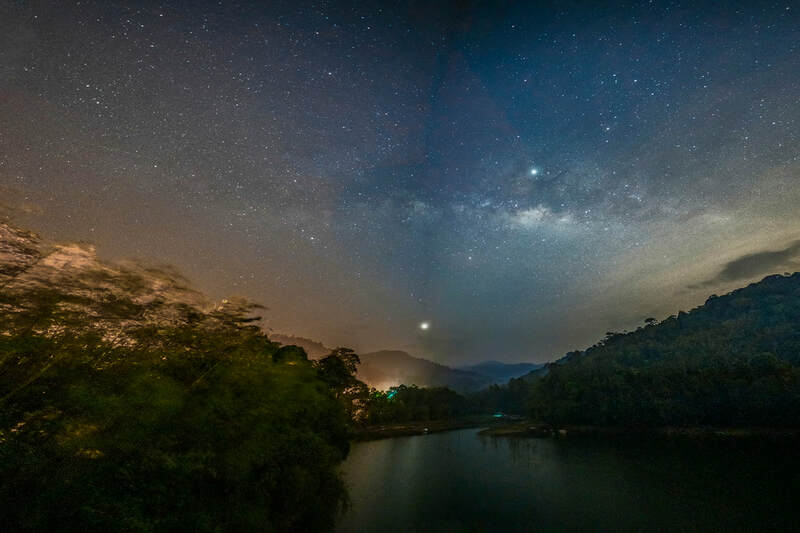 Early this morning, I had the chance to take a short trip to Kuala Kubu Baharu to shoot the milkyway. 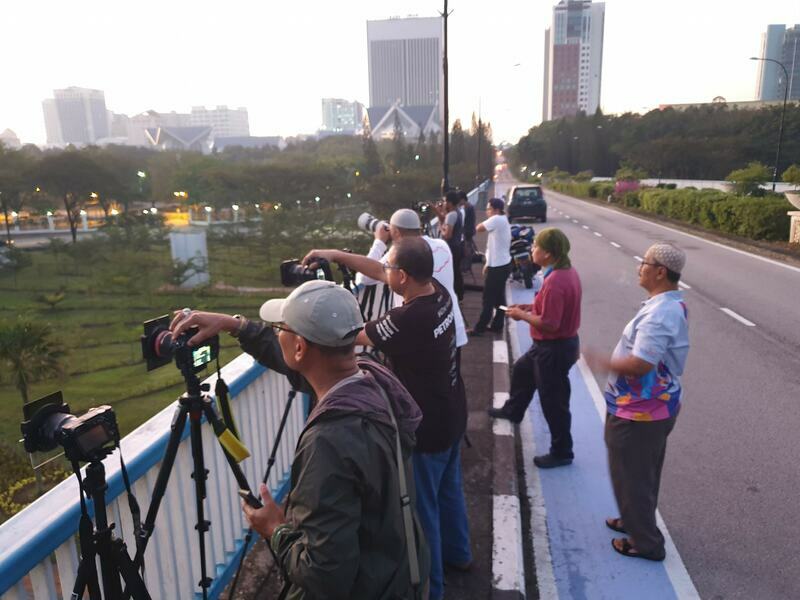 The event was hosted by Mr. Grey Chow, a seasoned astrophotographer in Malaysia. We departed from Kuala Lumpur around 2:45am and we safely arrived at the shooting location around 4:00am. To my surprise, there were already big crowd there...safe to say more than 100 photographers! Met the host, Mr. Grey Chow on location. For astrophotography, the setting that I used is to go for the widest focal length with the widest aperture. Here, I used 14mm focal length, thanks to the Samyang AF 14mm f2.8 lens on my SONY α7RIII. I would maintain the shutter speed between 15-25 seconds and pushed the ISO to 3200 or even 6400. Most of the newer cameras are able to handle such high ISO. It is also recommended to use a sturdy tripod to prevent the camera shakes. In this case, I've used my sturdy Leofoto LS-284C + Leofoto LH-40 ballhead. Please PM me if you want to purchase this tripod setup. Tracking the milkyway was easy, thanks to the bright planet Jupiter which sits above the galactic centre. 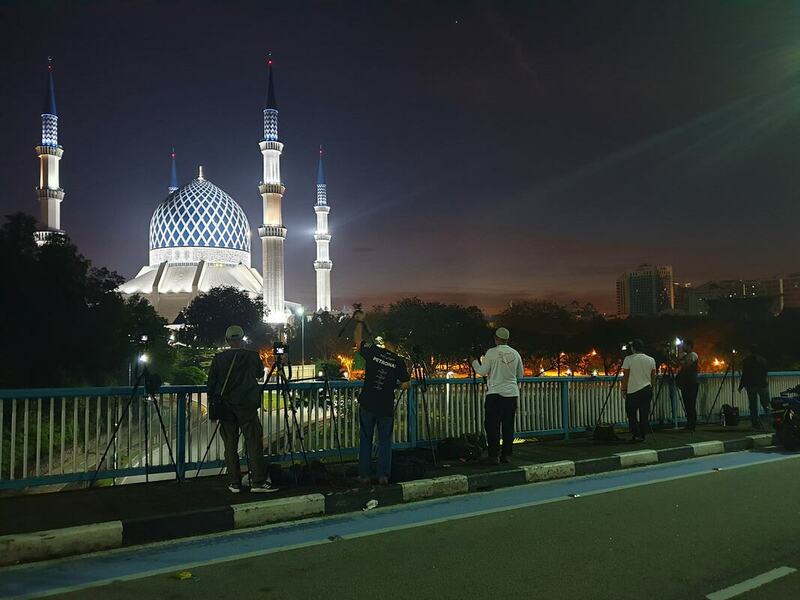 The bright light on the left foreground came from nearby Kampung Sungai Pertak. 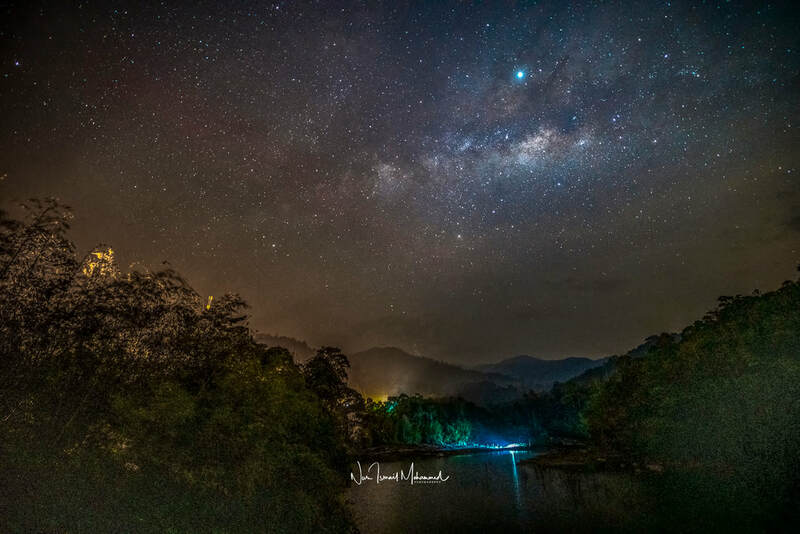 This is the first time shooting the milkyway here in Kuala Kubu Baharu and I will definitely come back to this place for more astrophotogrphy. 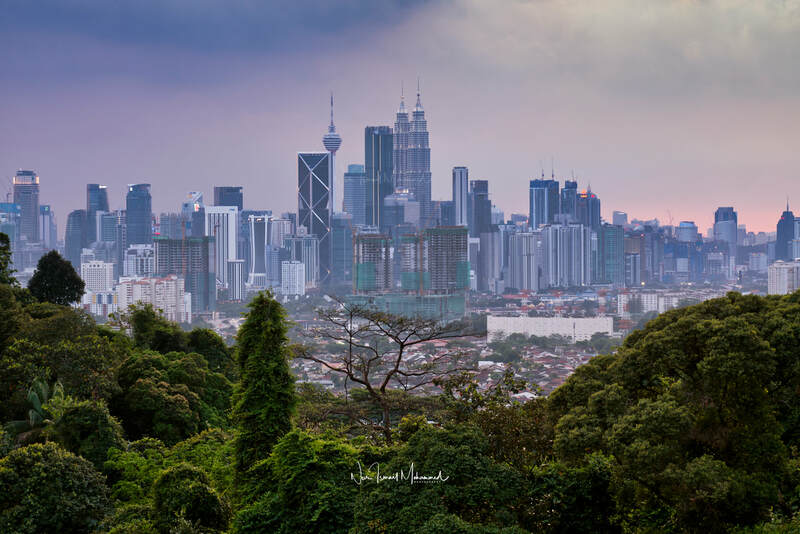 This above panorama shot was taken with SONY α7RIII with Samyang 14mm f2.8 lens. 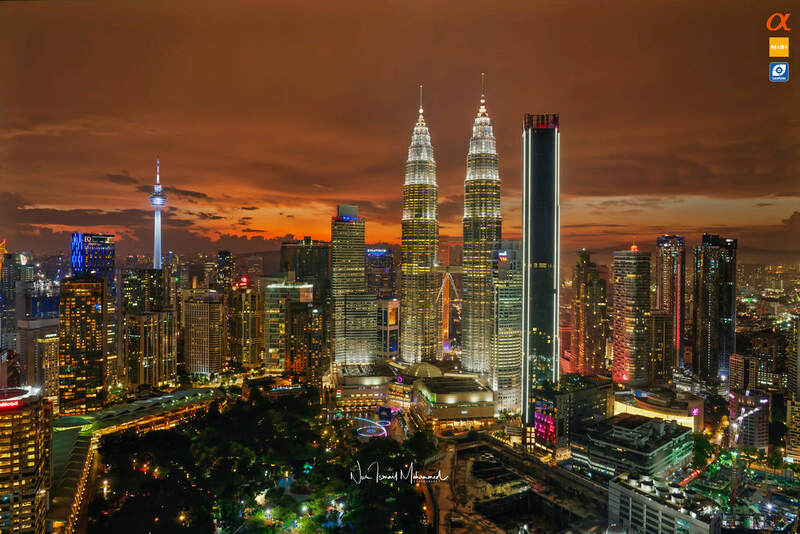 It took four vertical images to create this panorama. Processed in Adobe Photoshop CC 2019. My second setup was the SONY α7SII with the SONY FE 12-24mm f4 G lens, which I will process soon! Thanks! SONY α7RIII, Samyang 14mm, f/2.8, 15 sec, ISO 3200, single exposure, no filters used. 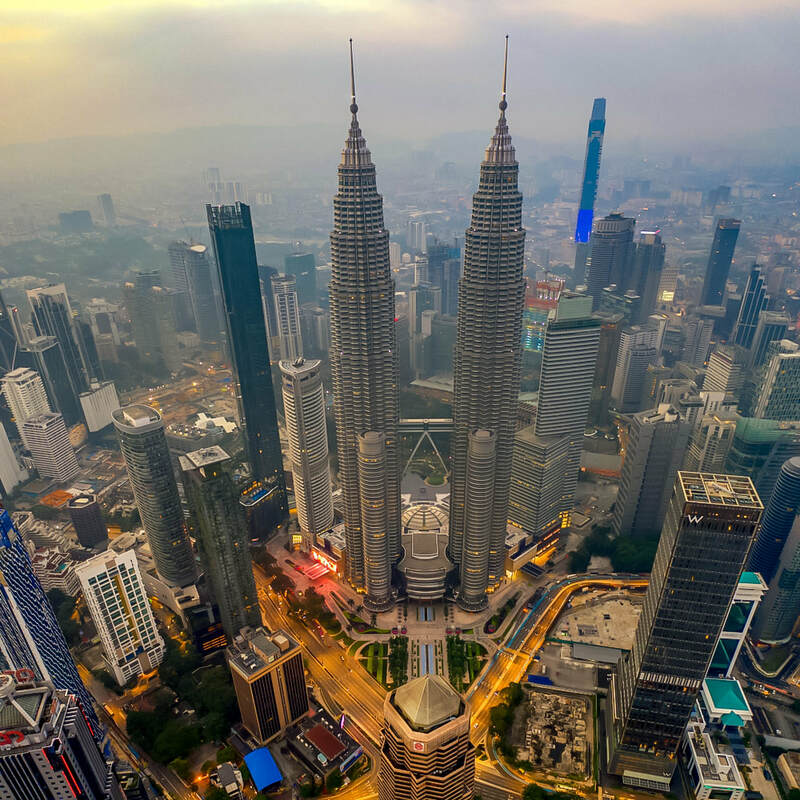 The PETRONAS Twin Towers certainly look great from up above. 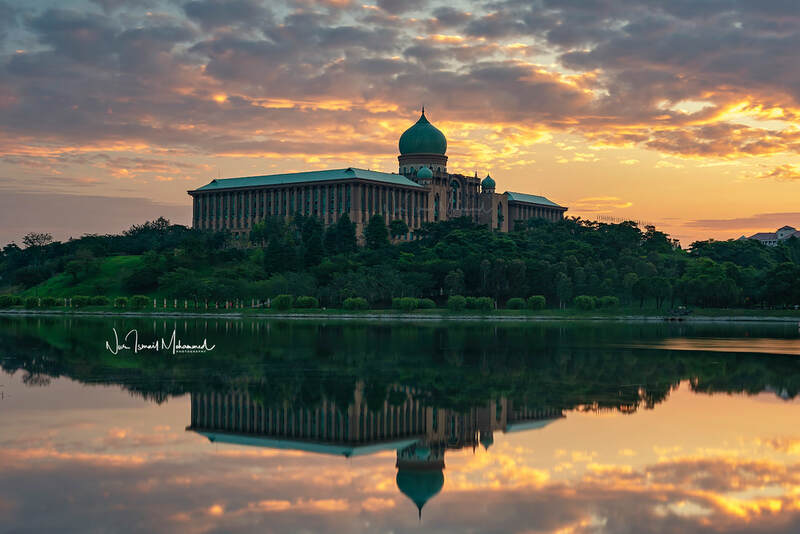 On Saturday, 9 March 2019, I had a chance flying my dji Mavic 2 Pro near this national landmark. 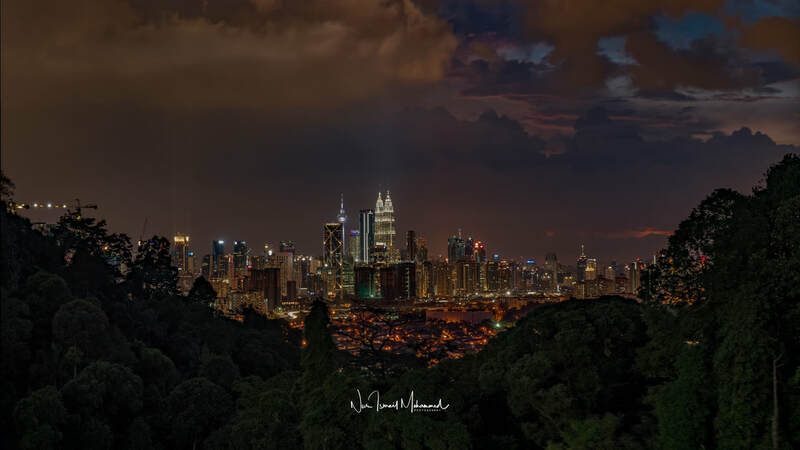 The weather was not that great due to the haze, but certainly the view of the Kuala Lumpur City Centre Precinct is truly breathtaking. Thanks for viewing! 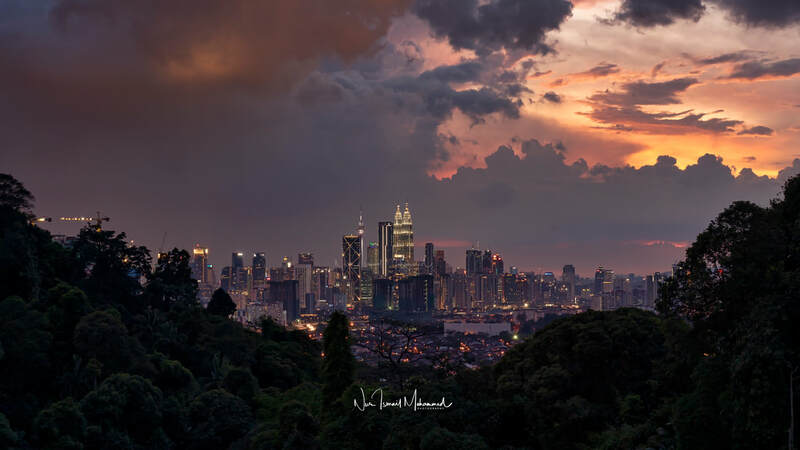 Last Friday (11/1/2019), I was invited by a friend to photograph the Kuala Lumpur skyline at sunset, from a location on Bukit Antarabangsa, Ampang. The area is quite secluded and we even encountered with an adult wild boar nearby. I didn't even put the filter on, fearing that the wild boar would come running to where we were. ​The view is quite unique where right in the centre of the frame, there's a tree that resembles a bonzai tree from afar, adding character to the whole composition. I will definitely return to this location when the weather is better. SONY α7RIII, SEL70200G, 135mm, f/16, 0.8 sec, ISO 100, single exposure, no filters used. SONY α7RIII, SEL70200G, 70mm, f/11, 0.8 sec, ISO 400, single exposure, no filters used. SONY α7RIII, SEL70200G, 70mm, f/8, ISO 400, HDR 9 exposures, no filters used. 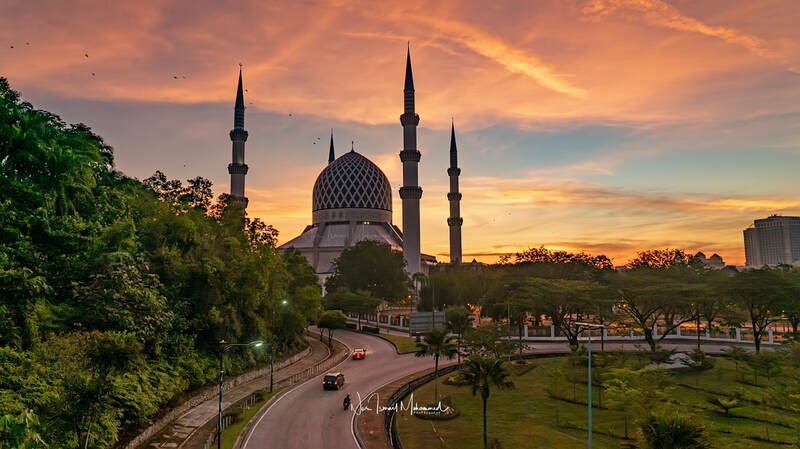 Last Saturday, I had the pleasure of joining some fellow landscape photographers trying our luck to shoot sunrise on the bridge leading to Sultan Salahudin Abdul Aziz Shah Building in Shah Alam. At least 10 of us made it, and thankfully, we managed to savour the beautiful and colourful sunrise here. The last time I shoot here was back in 2015. SONY α7RIII, SEL1635GM, 24mm, f/16, 20 sec, ISO , Single exposure, NiSi Landscape CPL + NiSi GND .9 Soft + NiSi ND8 filters used. Really impressed with dynamic range of SONY α7RIII. The starburst from the SEL1635GM is equally impressive. SONY α7RIII, SEL1635GM, 24mm, f/8, ISO 400, HDR 9 exposures, NiSi Landscape CPL + NiSi GND .9 Soft + NiSi ND8 filters used. Very close comparison to single exposure from the SONY α7RIII. SONY α7RIII, SEL1635GM, 24mm, f/11, ISO 400, NiSi Landscape CPL + NiSi GND .9 Soft + NiSi ND8 filters used. HDR 9 exposures. SONY α7SII, Laowa 12mm, f/8, 0.6 sec, ISO 400, NiSi CPL filters used. This image is part of my timelapse sequence. SONY α7SII, SEL24105G @ 24mm, f/8, 1/60 sec, ISO 400, NiSi CPL + NiSi RGND .6 filters used. This image is part of my timelapse sequence. 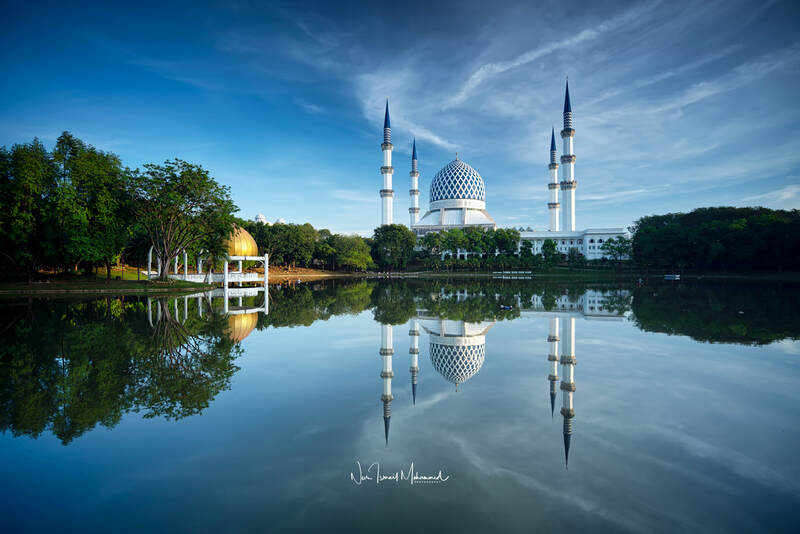 After shooting from the bridge, I took a short drive to Taman Tasik Shah Alam for a view of the masjid with lake reflection. 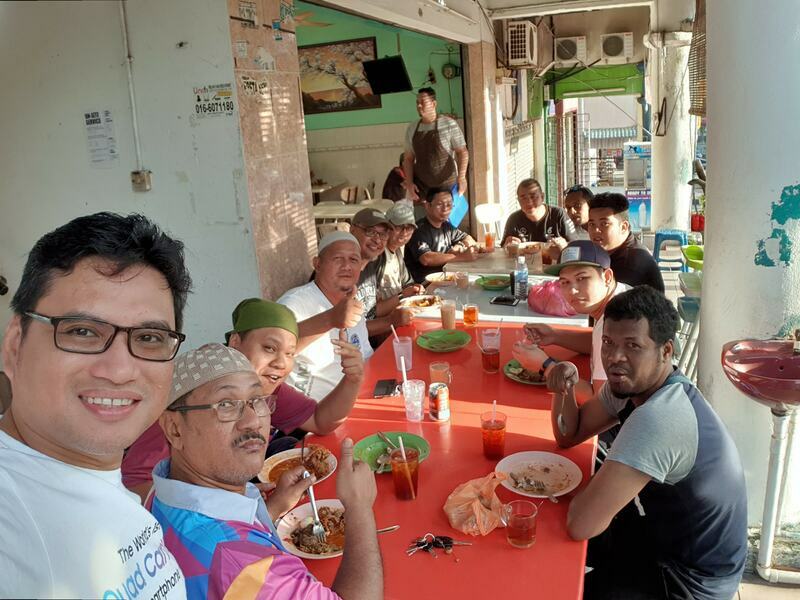 Some candid shots during the outing and the breakfast after (courtesy of bro Amir Nor Shah). Today I attended the SONY Focus Group Interview (FGI) 2019, by invitation of SONY Malaysia, specifically for users of SONY α9, α7RIII and α7RII, as well as SONY's GM lenses to share our experiences. 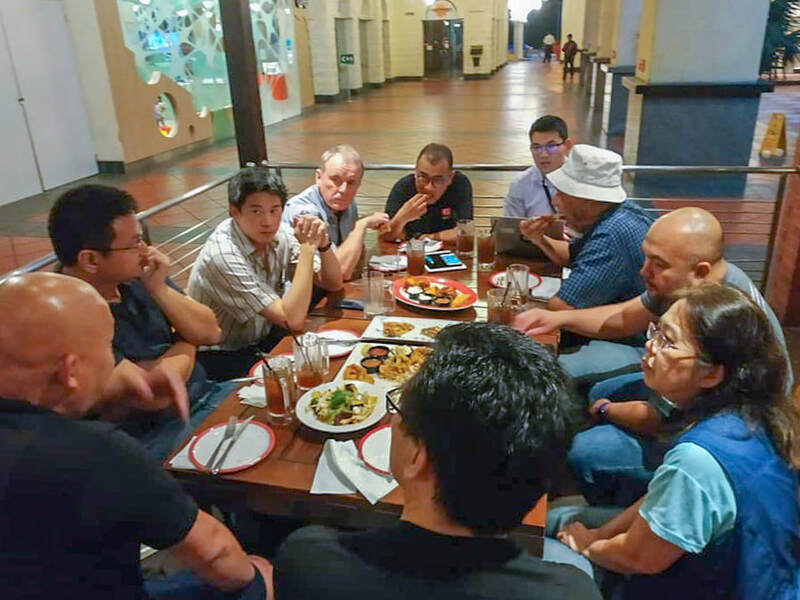 Unlike last year where the FGI was carried out at the SONY Centre @ The Curve, this time around, the interview was carried out at TGI Friday's at The Curve, Mutiara Damansara. 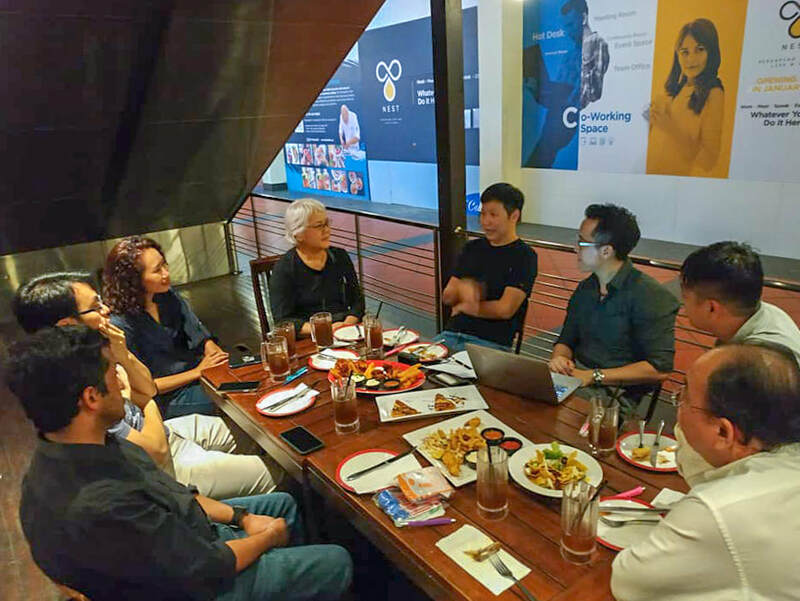 ​I had the opportunity of meeting people from different backgrounds and photography genre and was really honored to have met Yamasaki-san, the new marketing GM for SONY Malaysia at the end of the FGI session. 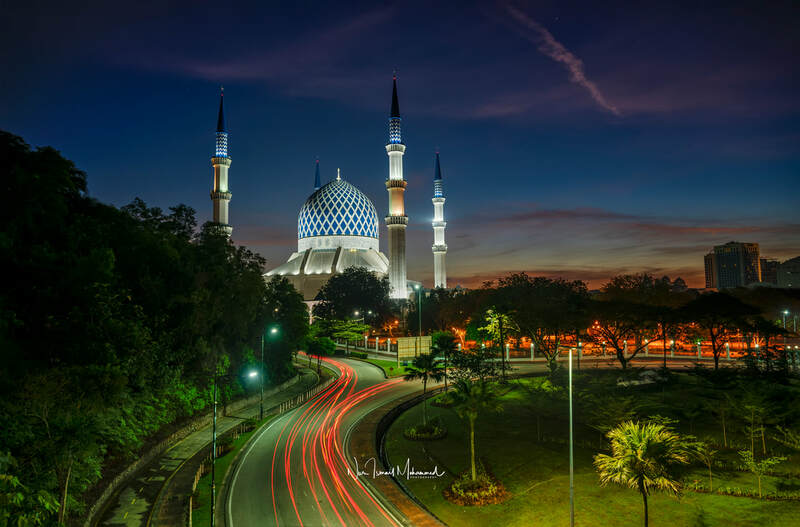 Perhaps the future FGI can start at 7:30pm to make way for Muslim participants to perform their Maghrib prayers. No group photo this year, probably due to the number of participants. 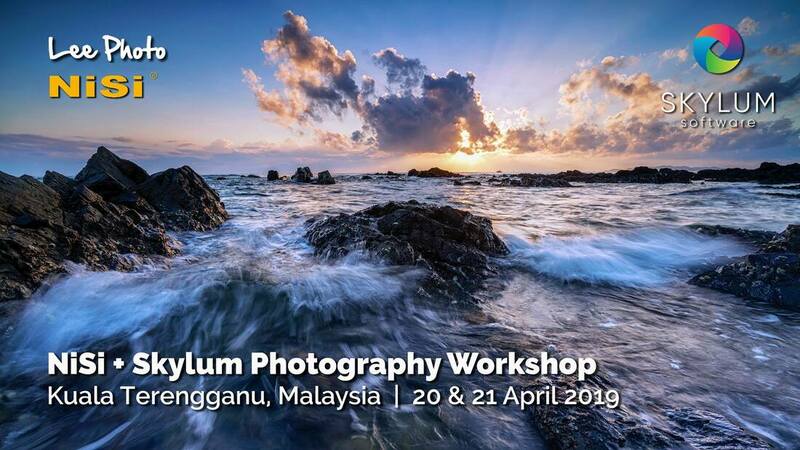 Hope SONY Malaysia will listen to us for the upcoming firmware updates as well as workshops. Looking for more collaboration from SONY Malaysia in the future. 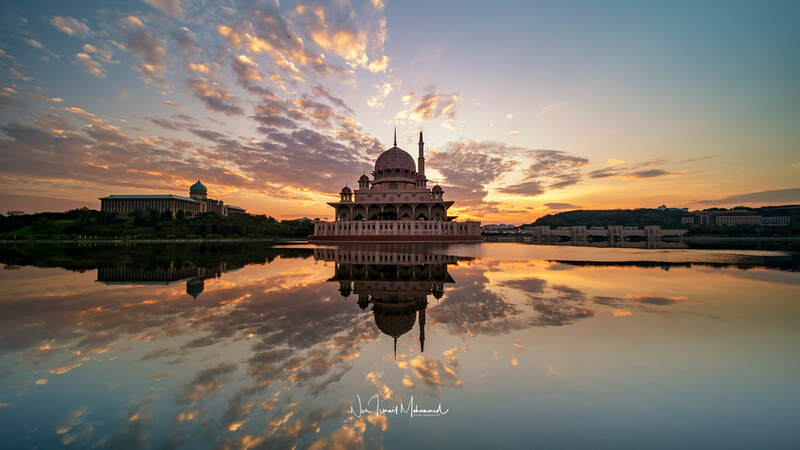 Today I was invited to join Photographic Society of Petaling Jaya (PSPJ) for their first workshop outing for 2019 at Masjid Putra in Putrajaya. There were about 20 pax attended the workshop and I was there in the capacity as NiSi product ambassador under Lee Photo Sdn Bhd. 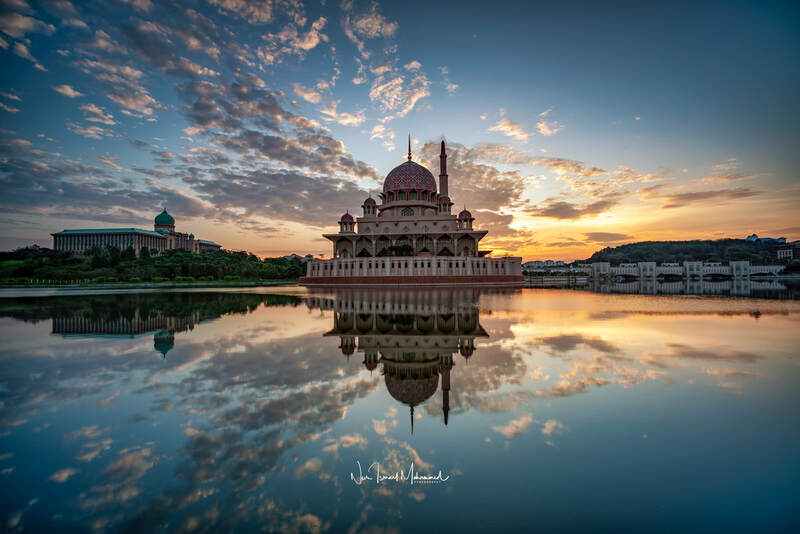 Using the NiSi Reverse GND .6 and NiSi ND8 on Laowa 12mm Zero-D lens. Here are some of the images captured during the workshop. Thank you! SONY α7RIII, SEL1635GM, 16mm, f/11, 1.6 sec, ISO 400, NiSi Landscape CPL filter used. SONY α7RIII, SEL1635GM, 35mm (cropped), f/16, 15 sec, ISO 50, NiSi Landscape CPL + NiSi GND .9 Soft + NiSi ND64 filters used. SONY α7RIII, SEL1635GM, 24mm, f/11, 2.5 sec, ISO 100, NiSi Landscape CPL + NiSi GND .9 Soft + NiSi ND64 filters used. SONY α7RIII, SEL1635GM, 16mm, f/11, 0.6 sec, ISO 100, NiSi Landscape CPL + NiSi GND .9 Soft + NiSi ND64 filters used. SONY α7SII, Laowa 12mm, f/8, 1.3 sec, ISO 400, NiSi CPL + NiSi RGND .6 filters used. SONY α7SII, Laowa 12mm, f/8, 1/13 sec, ISO 400, NiSi CPL + NiSi RGND .6 filters used.